Those were the words of José Luis Gutiérrez Valencia to his fellow inmates during a party captured on video inside the maximum-security prison Puente Grande in Jalisco. 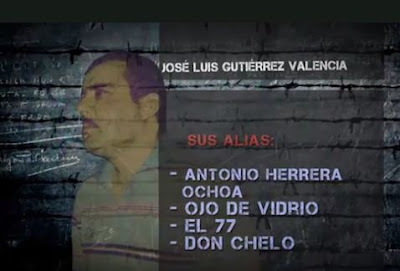 Also called “El 77” and “El ojo de vidrio” (glass eye), Gutiérrez is best known as Don Chelo and since his imprisonment in 2010 is seen as having been the real prison warden due to the control he exercises. 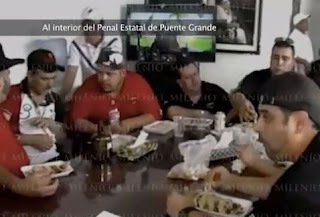 Grupo Milenio obtained a copy of the two hour video that shows inmates freely enjoying themselves at a party organized by the prison kingpin. The celebration was held on a Sunday afternoon between December 2015 and March 2016. In the video you can see the organizer, Don Chelo, consuegro of' El Mencho 'and' boss' of Puente Grande, always surrounded by two men wearing fanny-packs, tending to whatever Jose Luis Gutierrez Valencia might need. 'Viva Jalisco Nueva Generación! 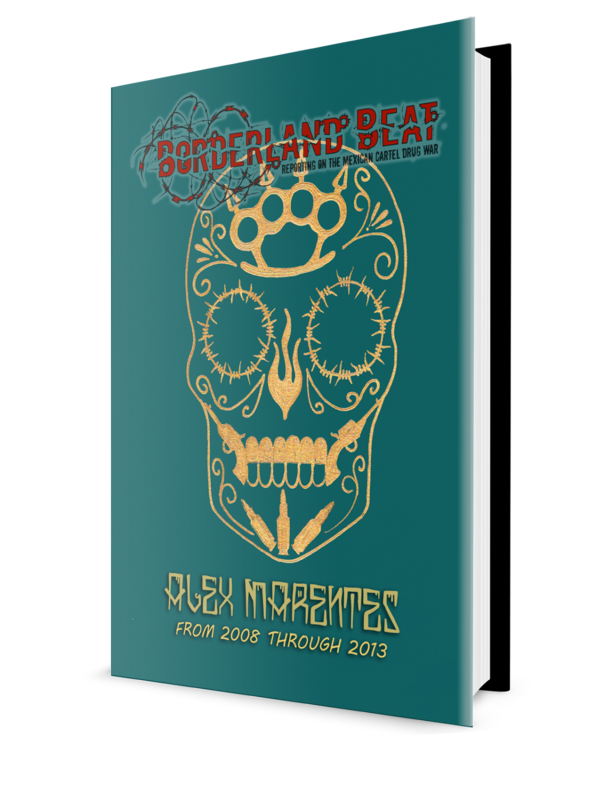 ', Shouts someone before the microphone of one of the members of the musical group Los Buchones de Culiacán. You will hear cheers and applause. It is the culminating moment of the party organized inside the state prison of Puente Grande, in Jalisco, by Don Chelo for years the true head of that presidio. When arrested in Puerto Vallarta in 2010, Gutiérrez Valencia was in possession of an arsenal of weapons including a grenade launcher, an AK-47 and several other firearms. He also had a significant quantity of white powder (presumably cocaine) and according to the Jalisco Attorney General’s office, 46,200 pesos in cash with which he attempted to bribe the arresting officers. The arrest was related to an earlier grenade attack on police that resulted in one officer being injured and a police vehicle being damaged. At the time authorities alleged that he had been part of the Sinaloa Cartel. However, he now runs the prison on behalf of the Jalisco New Generation Cartel (CJNG) and in fact his daughter is the wife of Rubén Oseguera, son of CJNG boss Nemesio “El Mencho” Oseguera. It’s family day so women and children are present. Buchanan whisky flows. Cell phones are everywhere. Music plays. Someone goes up on stage to dedicate a poem to to his bro, Chelo. Two groups alternate on the stage before the main attraction arrives: Los Buchones de Culiacán, a norteño band famous for its narcocorridos or narco-ballads, takes the stage. . As soon as they appear, Don Chelo and his group stop. The boss and and his entourage will be standing with Los Buchones, who sing alongside Don Chelo the songs he wants. In between songs, a member of the band addresses the prisoners. "First of all, I want to tell you that I am grateful to my compananero Chelo, to my companero Chava, to the whole team, to all the people, the new people, the New Generation who gave us their friendship. We are people (...) Arriba the people of Jalisco Nueva Generación, my companero. Chelo, the whole team, all the people of Puente Grande, all the people here, the people, from their friends at heart, Los Buchones of Culiacán "
At one point the “boss” and his inner circle adjourn to a separate room adorned with religious paraphernalia to feast on tacos. No guards are seen throughout the two hours of footage. Joaquín “El Chapo” Guzmán escaped from the federal prison located in the same penitentiary complex in 2001. The Milenio newspaper reported in September 2015 that the Puente Grande prison was self-governing. An official report seen by the newspaper indicated that inmates controlled the majority of prison stores, managed the flow of prohibited substances, controlled the area reserved for conjugal visits and allocated prison cells. 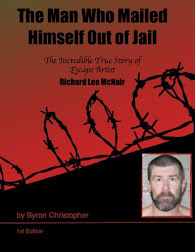 The report also revealed, according to a former inmate, that Don Chelo was the prison boss. The state government has changed prison management over the past three years, most recently on April 6. The Attorney General of Jalisco, who took office in 2015, issued statement after Milenio published the video that said Don Chelo 'has no privileges' nor 'controls the criminals' of Puente Grande. The narcofiesta, he explained, was carried out in 2013 with the permission of then-head custodian of that prison, Enrique Huerta Balcázar, who was dismissed on November 21 of that year for committing various irregularities in its functions. The celebration, he detailed, was held in June to celebrate Father's Day and to commemorate the first anniversary of the mourning of Don Chelo's son. 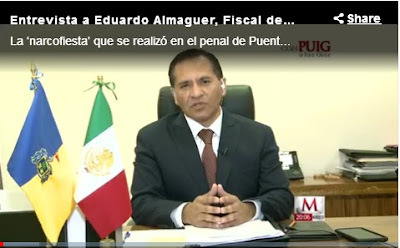 He also said that his office has initiated an investigation of the Group Los Buchones de Culiacán to see if they paid taxes on income derived from the performance and If they entered the country from So. California legally and with permission to work. Gutiérrez Valencia is currently facing charges of corruption of minors, firearm possession, drug offenses and bribery. The prosecutor is disputing the time period. More like June 2013, he says. Looks like I'm going to Puente Grande for my next vacation! It always amazes me to see powerful mofos sloppy drunk. soon in a jail near you! It is better to let prisoners have fun than rioting in prison, guards make a few cents, and God's Big and Small Businessmen make a few peisos, the US could learn sompim' out of it and stop the fleecing of the american people by government and private prison profiteers.